PEARL HARBOR, Hawaii - The U.S. Pacific Fleet (PACFLT) Band hosted 40 members of the Vacaville High School band and choir at PACFLT Band's headquarters, April 17. The students attended a concert, workshops and then performed alongside members of the PACFLT Band. The event also provided a chance for the students to see the Navy from a new perspective. "We put on the clinic because we wanted to the students to enjoy themselves, learn something about music and most importantly, have a positive impression of the Navy," said Chief Musician Ian Charleton. "I hope they saw a different side of the Navy," Lamonica said. "Our mission is to reach out to the community and be an image that is reflecting the United States in a positive manner." 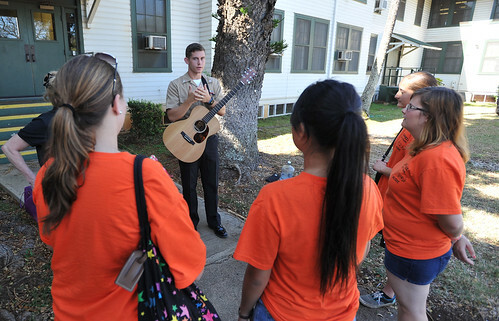 The workshops gave the PACFLT Band members a chance to instruct students in small specialized groups. "I learned a lot working with the master class saxophone teacher," said William Berg, a Vacaville student. "It was really neat, especially being able to play with them. These are guys that play music for a living and that's what I want to do." The Sailors also enjoyed interacting with their visitors. 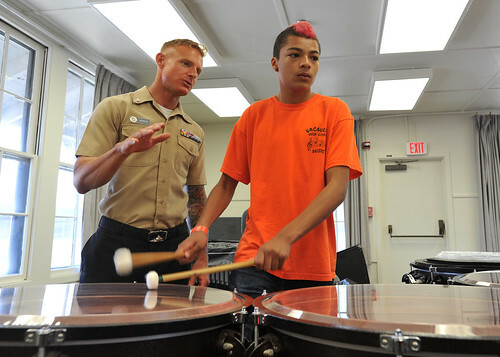 "It was a lot of fun to be able to work with the students and hear them progress as we worked with them," said Musician 3rd Class Steven Lamonica. "It was good to see them get excited about music and what we had to offer them." 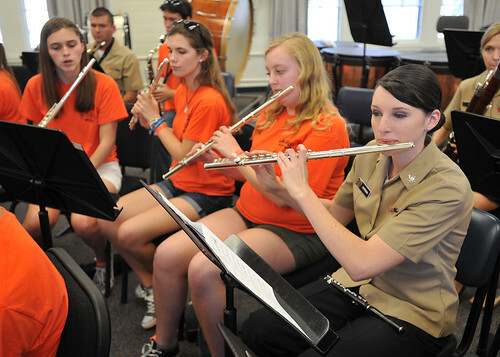 The visit to PACFLT Band's headquarters was part of a sightseeing tour before a performance by the students aboard the Battleship Missouri Memorial.